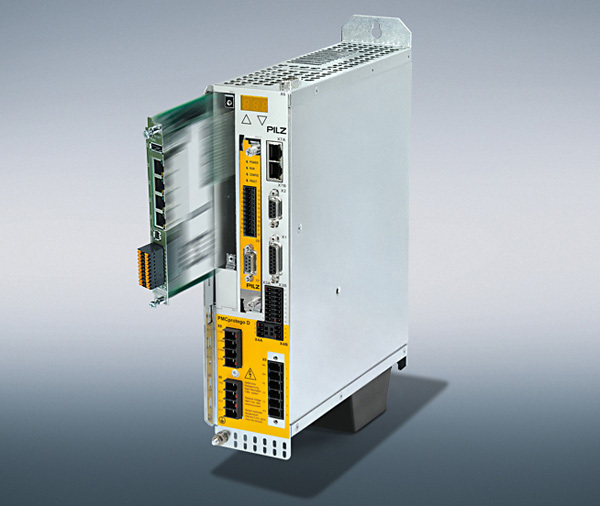 The PMCprimo C2 motion control system from Pilz is now equipped with a 1,3-GHz processor and integrated real-time task with 1 ms processing time. Interfaces such as CAN are provided. Users benefit from fast commissioning times due to programming via Soft PLC (programmable logic controller) in accordance with IEC 61131-3, said the company. The upgrade to version 3.5 of PLC means they now have access to all the benefits of object-oriented programming. Thanks to the integrated real-time task (processing time 1 ms), there is now the scope to implement high-performance applications such as path interpolations. The product supports master and slave communication interfaces such as CAN, an encoder input, digital inputs/outputs, and a USB interface for data import and export which makes the product a flexible solution for various application areas. The control systems have PLC and motion functionality and they manage the automation within a plant, including movement management on servo axes. Up to 32 axes can be linked to form a kind of electronic main shaft, and simple CNC tasks can be solved. The control systems also allow parallel operation of several communication networks such as CANopen. Standard functions, e.g. "flying saw", "cross cutter", or "cam plate functions", are already stored as function blocks. Machine functions, such as "tubular pouch packaging", are also available. The implementation of modern functions, such as remote maintenance, automatic parameter setting for swapped-out system components and the sharing of all I/Os, allows users to implement high-performance solutions.